Pleased to say our new 6 x 2.5m surface table and Stiefelmeyer arrived today. 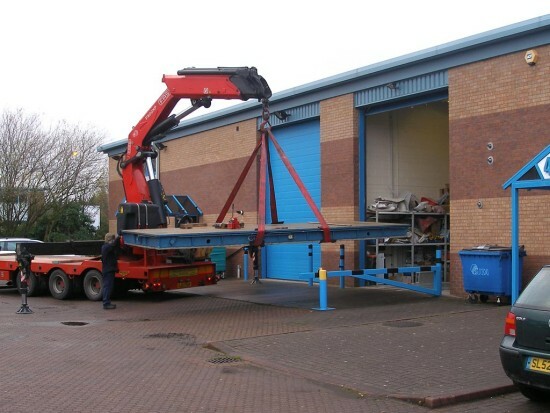 Moving in a 9 tonne lump of metal went surprisingly smoothly thanks to the friendly chaps at Machine Transport Services and their ‘substantial’ crane. All that remains is to get it level, rebuild a wall over Christmas and we’re up and running for new projects arriving in January.